HI HO SILVER --- AWAY! 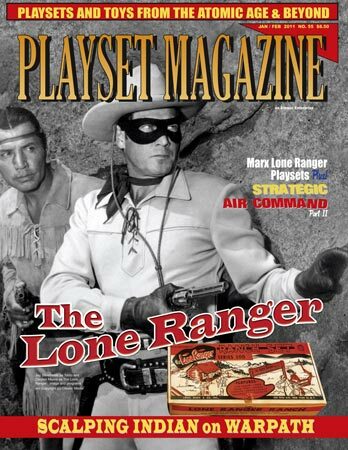 It’s 1949 and The Lone Ranger is the biggest news in radio. Kids are thrilled that new episodes will soon be showing on the new medium of television, in glorious refreshing black and white. The Cavendish Gang jumps him; an Indian becomes his friend, and the wronged are ever again avenged by the masked man. Hobby and industry news, predictions on the future of the hobby, - DioDrama, - MediaWatch and much much more. - Classified ads, new production ads, - and lots of colorful reading fun for Winter!